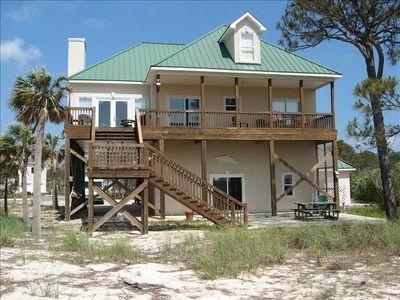 Call the white-sand beach of Dauphin Island home at this oceanfront 2-bedroom, 2-bath vacation rental! 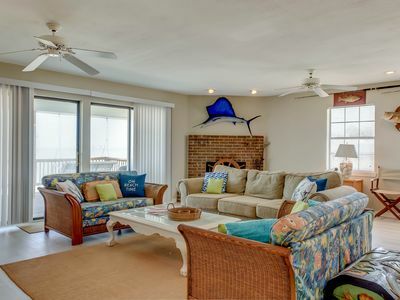 Ideally located, this charming first-floor condo provides up to 6 guests with a private balcony with ocean views along with 2 community pools and a charcoal grill, right outside the door. 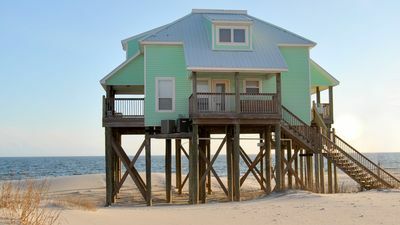 Follow the boardwalk down to the coast for a day spent sunbathing, swimming and boogie boarding, and later, feast on fresh seafood at one of the local restaurants all while staying at this island getaway! 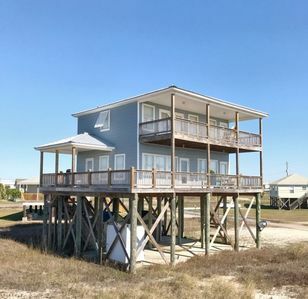 On your way to this first-floor, corner-unit condo, take in the expansive view as you drive over the impressive bridge that carries you from the mainland to the coastal town of Dauphin island! 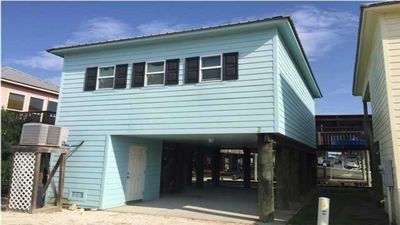 Stop by Skinner's Seafood to pick up fresh fish and other morsels to be cooked in the fully equipped kitchen featuring modern appliances and ample counter space. 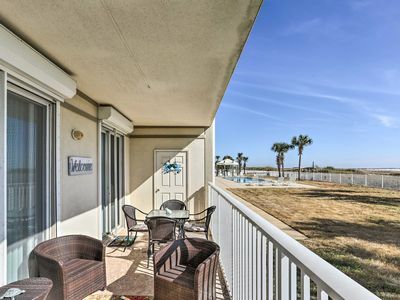 Savor your flavorful feast around the 4-person dining table or dine al fresco on the private balcony around the outdoor patio table overlooking the Gulf. If you can’t get enough of the serene views during lunch, move the festivities to the adjacent lounge area, furnished with rattan chairs. 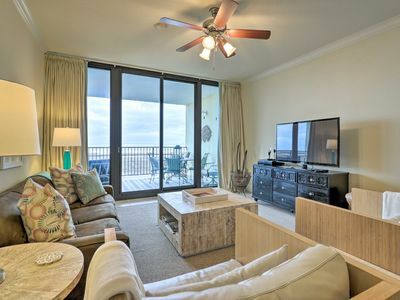 Head back inside through the sliding door to cool off in front of the flat-screen cable TV. Finish the day off with a long soak in the master en-suite bathroom’s jetted garden tub. Afterward, get comfy in the king bed where you’ll doze off to movies playing on the flat-screen cable TV. 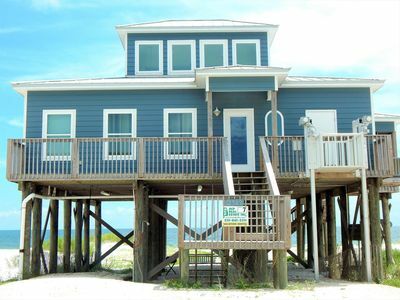 The second bedroom also houses a flat-screen cable TV, along with a comfortable queen bed and beach-themed decor. 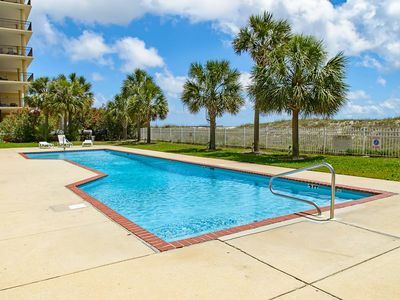 The next day, you and your companions can roll out of bed and step right outside this first-floor condo to The Inn at Dauphin Island's 2 community pools! It doesn't get better than this! 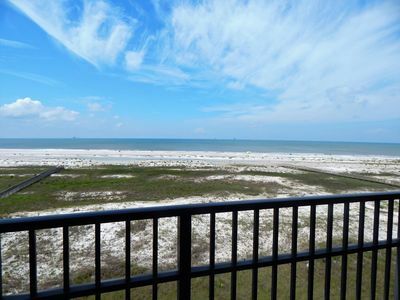 With an ideal location only minutes from the shore, you'll enjoy quick and easy access to the white-sand beach you've come to know along the Gulf of Mexico! 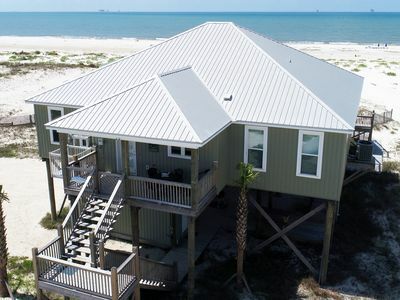 Follow the boardwalk down through the dunes and to the ocean where you'll spend sunny days sunbathing, swimming, boogie boarding, and combing the shoreline for the perfect seashell. In the morning, try the delicious pastries found at the Lighthouse Bakery and on Sundays, feast on their mouthwatering omelets. 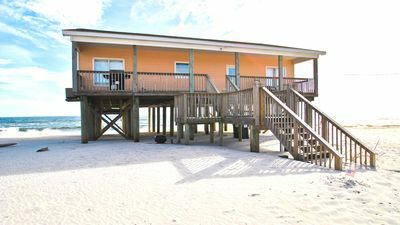 Not too far away, Jt's Sunset Grill offers a delicious lunch and dinner option or hop over to the other side of the island to grab a bite to eat at Pirate's Bar and Grill, all located within 5 minutes of the property. 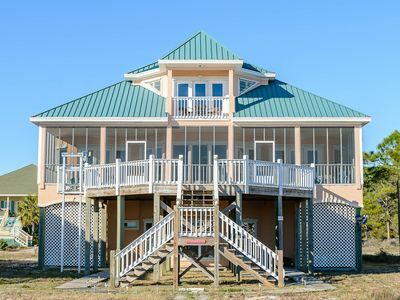 Head to the eastern side of the island to visit the Dauphin Island Estuarium where you'll learn about the coastal habitats of Alabama and the plants and animals that call these areas home. 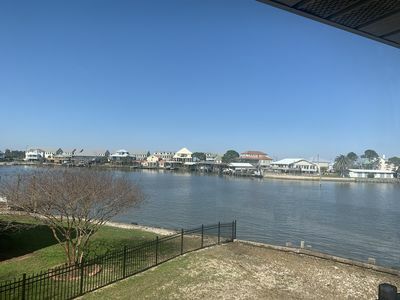 Nearby, the Audubon Bird Sanctuary offers an intimate 3-mile boardwalk through marshland where you can watch up to 445 bird species and possibly catch a glimpse of an alligator! 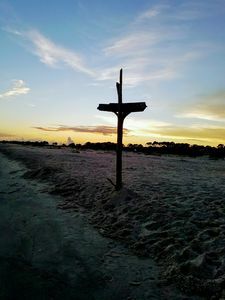 If you'd like to try stand-up paddleboarding for the first time, don't look any farther than Dauphin Island SUP. You tell them where you would like to try it out and they’ll bring the boards to you! 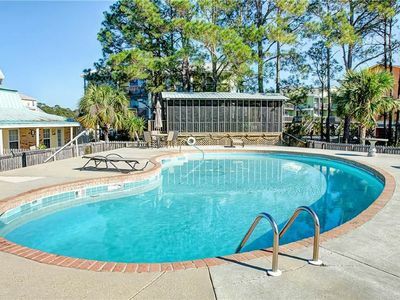 - Enjoy access to The Inn at Dauphin Island's community amenities, including 2 swimming pools and a charcoal grill! 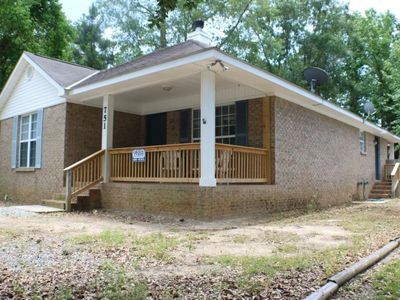 Popular house! Reserve fall break before it's too late! 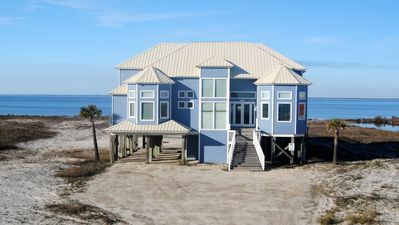 Beach Front*Hear the WAVES* Holiday Isle Resort on Beautiful Dauphin Island*WOW! 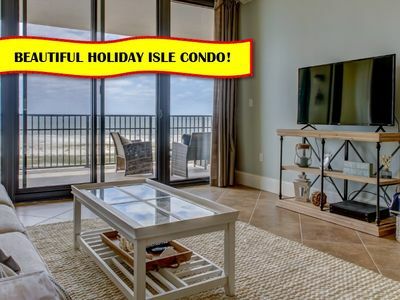 "Holiday Isle 605" on Gulf of Mexico | In & Outdoor Pools | Beach | Balcony! 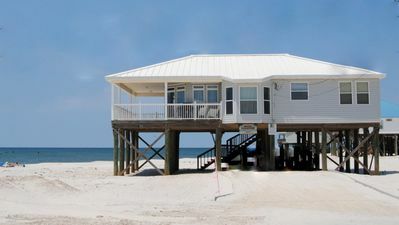 Dolphin Watch East - Located at the point of Desoto Ave overlooking Indian Bay..